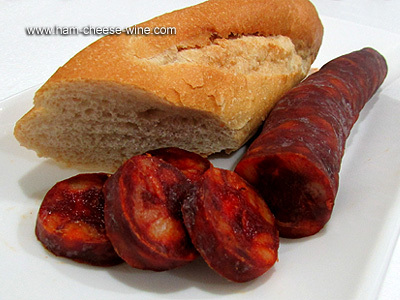 Regular Sausage Palacios U is a jewel of Spanish culinary culture. It is made with ground meat and pork fat, seasoned with paprika, garlic and stuffed into natural casings. 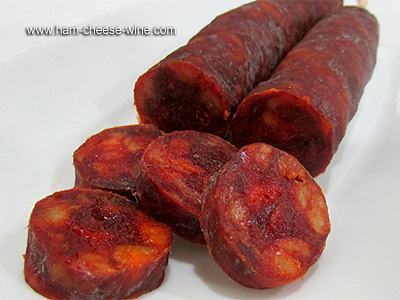 The red color so characteristic of the sausage comes from paprika. The perfect combination of lean pork and traditional curing makes for a natural and quality product, with high caloric value and high biological value protein and special organoleptic characteristics that will delight the whole family. 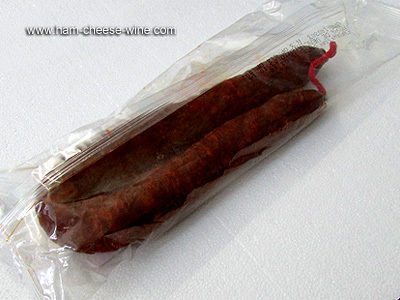 Regular Sausage Palacios U comes in packs of a single sausage, every package weighs 0.60 pounds (9.5 ounce). 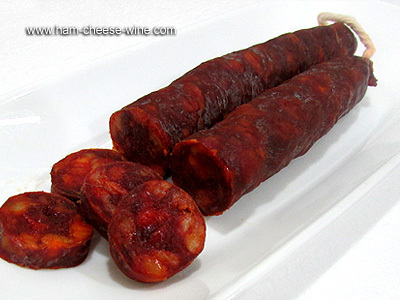 They are made without preservatives or colorants, which gives them a unique flavor and confirms the widely recognized prestige and quality of the Palacios company. If you like sausage, you’ll like this more. Palacios offers the best sausages in the world, a pleasure for the palate, being as it is a world leader in the Spanish cuisine. Regular Sausage Palacios U can be consumed in a variety of ways: special to be sliced accompanied by bread and cheese, delicious to add to lentils, beans and chickpeas, rice, macaroni, spaghetti and pizzas, perfect as a side to fried or scrambled eggs, and omelets. 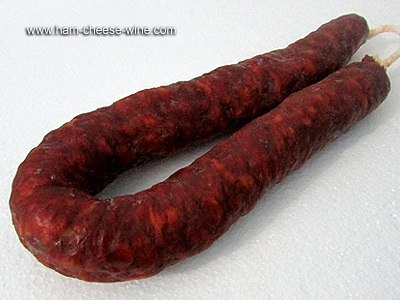 Regular Sausage Palacios U is made following the traditional process of Palacios and Spanish sausages: mincing of meat and bacon, mixing and kneading the meat with spices, rest and maceration, inlay the mass into pig intestines. At curing time the sausages are tied and exposed to air in a natural environment, choosing suitable locations based on their temperature characteristics. If you are a frequent consumer of sausages, you will not regret trying Regular Sausage Palacios U cured with garlic and paprika. 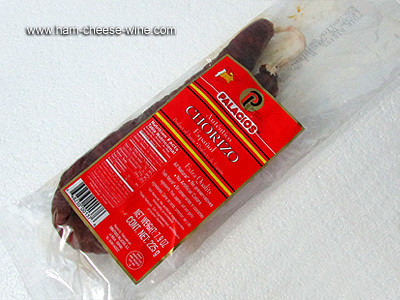 The smoky flavor of Regular Sausage Palacios U has its own distinctive Spanish flavor that sets it apart from the rest of the sausages in the world. Ingredients: pork, salt, paprika, olive oil, garlic, oregano seasoning (prosodic citrate, Potassium Nitrate, Sodium Nitrate). Since its foundation, Palacios has offered the best products. Thus, all sausages are made with 100% natural products with no preservatives or colorants, no gluten and no lactose which gives them a unique quality and flavor. Enjoy sausages on any occasion. This family company dedicated to the production of hams and sausages carries out the entire production process, from breeding Iberian pigs in the field, in open range, to the development of all its products. The natural drying of hams and sausages gives that unmistakable touch in aroma and flavor, which for generations has been shared with their customers. Today, the third generation leads the company combining new technologies with the traditional methods.